Ongoing deal, never expires. Last validated 2mo ago . Used 218 times. 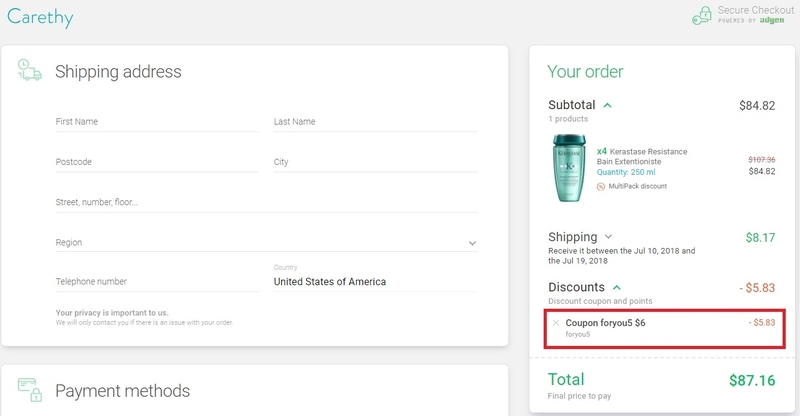 @dealseveryday As of 02/19/19, I tested this promo code and verified that it works as described. 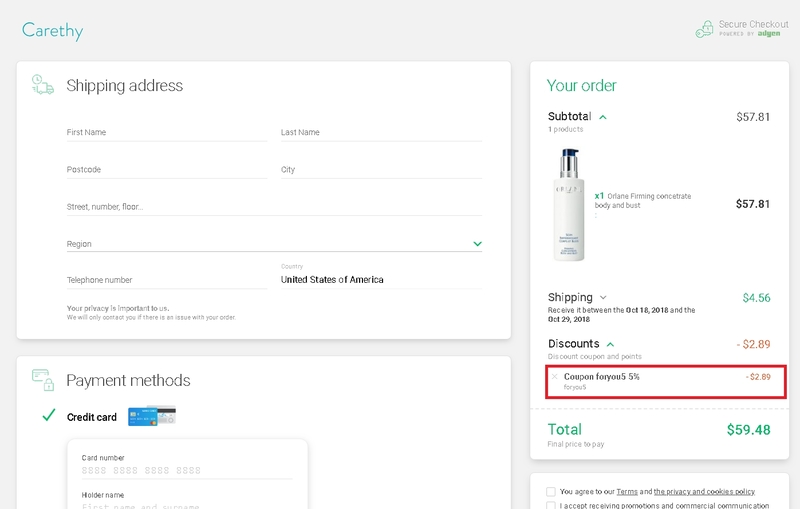 Daniel Garcia I have tested this code and is working as described, place it at the checkout of Carethy and enjoy the discount. Guillermo Garcia This deal's information is incorrect. I will update it and validate that it works. 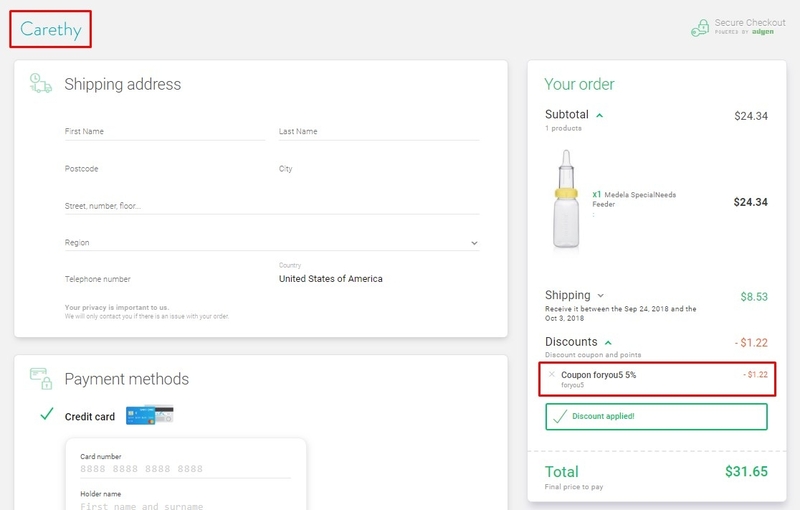 Get 5% off on any orders at Carethy at site wide. 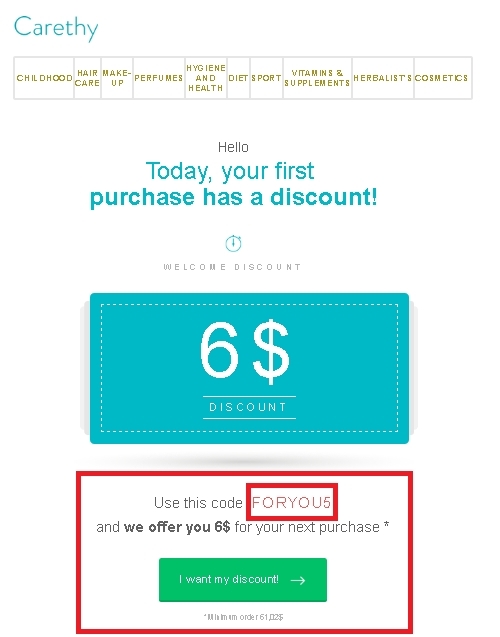 Simply enter the promo code "FORYOU5" during the checkout process to apply this discount. Blac The deal is still working as described, go to the website, add the items to the shopping cart, proceed to checkout and apply the code. Expiration date was not provided. Exclusions may apply. See screenshot for more details. 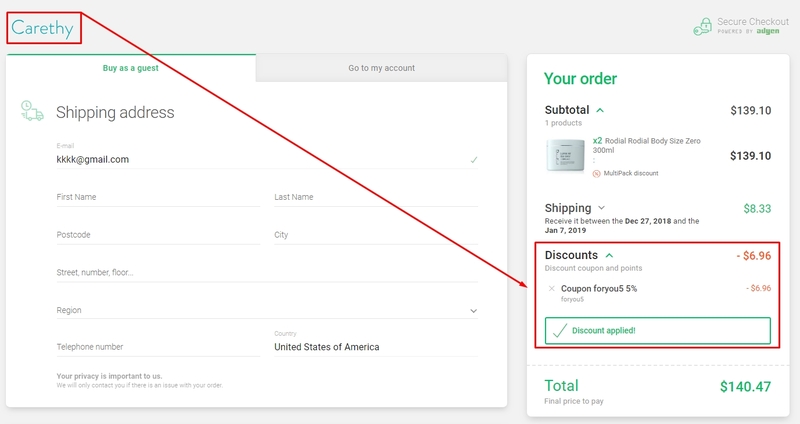 Ramon Carrasco This promo code is properly working, copy and paste the code at checkout to earn your discount right now. Leng-Leng As of 4/16/18, I tested this promo code and verified that it works as described. Exclusions apply. ramses parodi I am validating that this deal still works as described. This is a great deal. 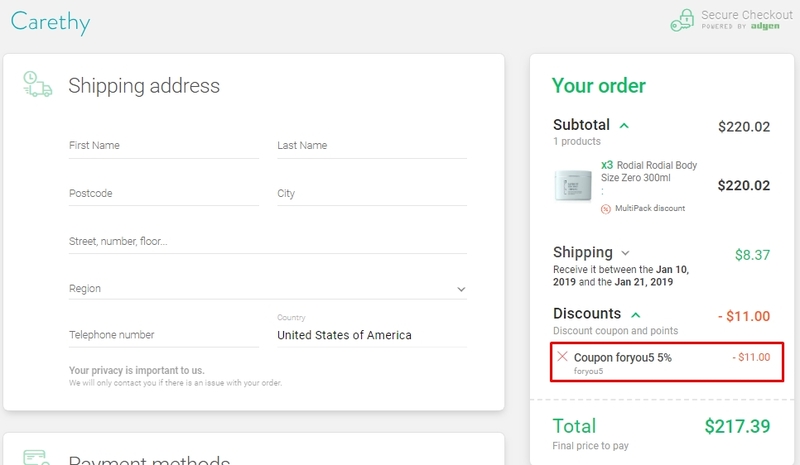 Just copy and paste the code during checkout to claim your discount. This is a limited time offer.